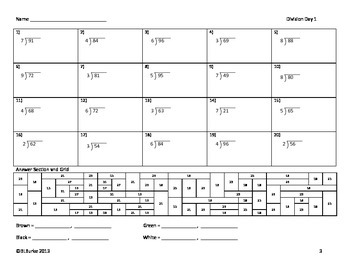 This file contains 5 division worksheets - each with 20 problems! 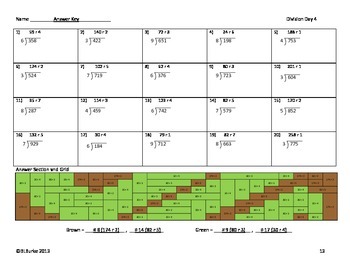 Every day, the students use the answers they color to color part of a grid. 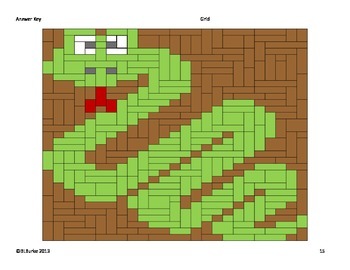 At the end of the week, the students are to cut out the 5 grids and glue them together to reveal the final picture - a snake. Great way to keep them motivated all week!! •	Cut and Paste (Page 8) - The students cut out the grids that they colored throughout the week and glue them on this page to reveal the snake. 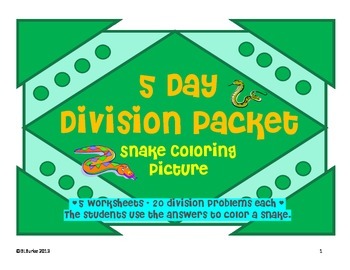 5 Day Math Division Packet - Snake Coloring Picture by Briana Burke is licensed under a Creative Commons Attribution-NonCommercial-NoDerivs 3.0 Unported License.